Ideal for a beginner or rusty crocheter! an illustrated guide, includes the basics of holding your yarn and hook, how to do a slip knot, how to chain and how to do double crochet and includes a pattern for a cloth. We've kept it simple and do-able. 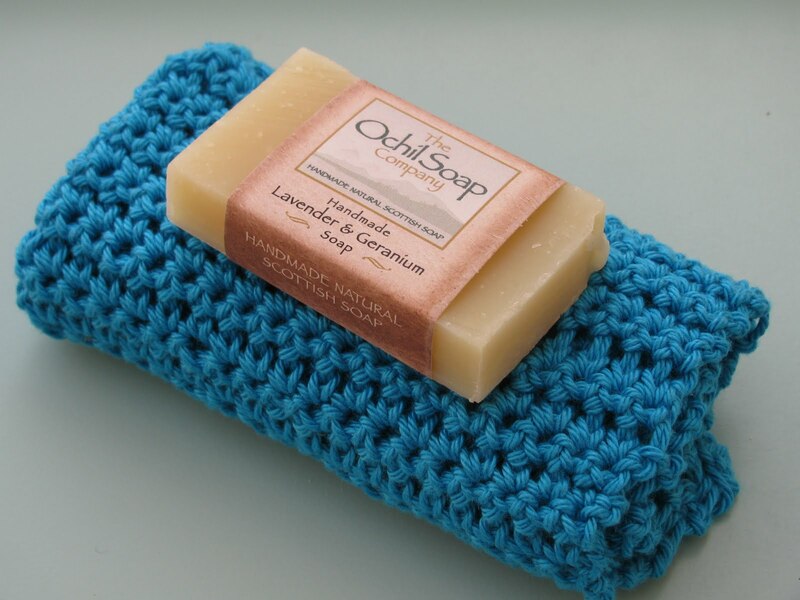 The repetition of one stitch (double crochet) keeps you focused and helps you understand how a basic stitch is made, how to count your stitches, keep your edges straight and FINISH a project quickly. A cloth may not sound very fancy but its small enough to be completed easily (and well) by a beginner and its very portable! 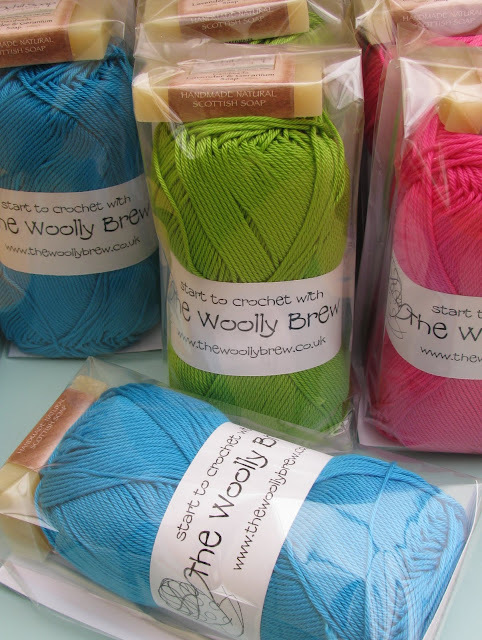 Its also very useful and with a choice of three bright cheery colours it will not only give you a sense of achievement but it will brighten up your bathroom! 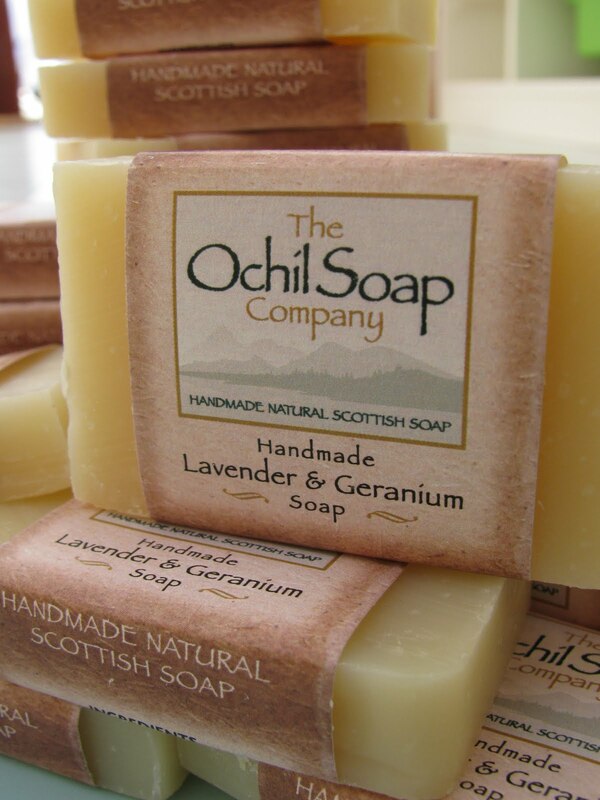 To make the kit even more useful we've added a gorgeous handmade soap from The Ochil Soap Company. show off your crochet skills and gift it! 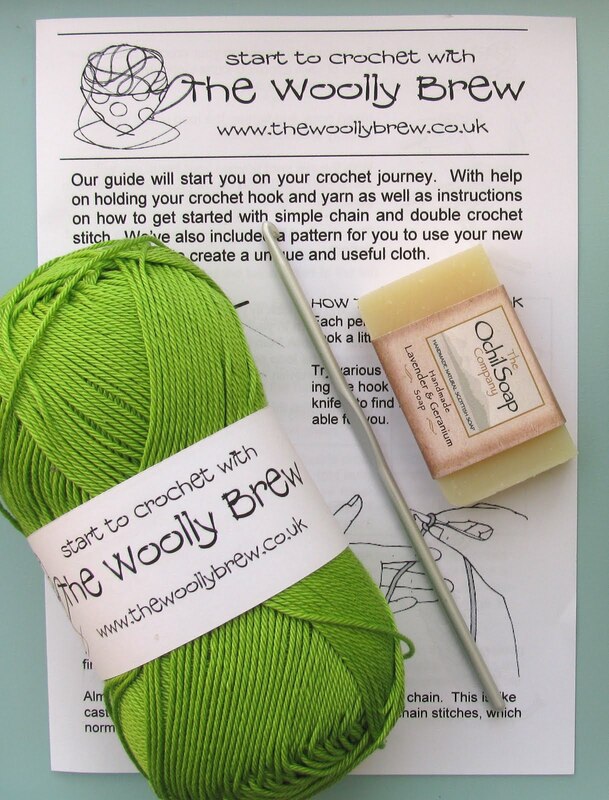 this little package can get you started in crochet! 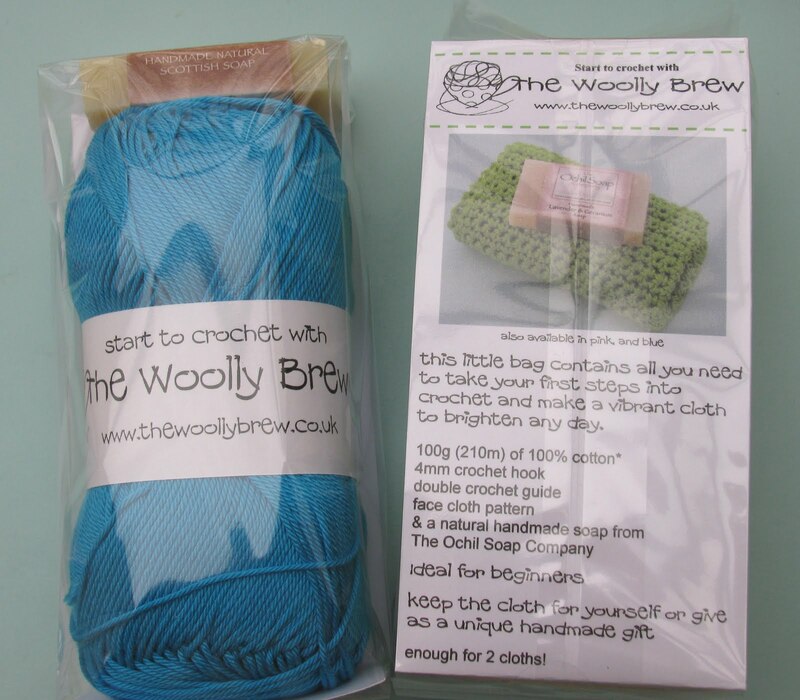 The Woolly Brew Start to Crochet kit is £9 and includes a start to crochet guide, 100g of mercerised cotton, 4mm hook and handmade soap. 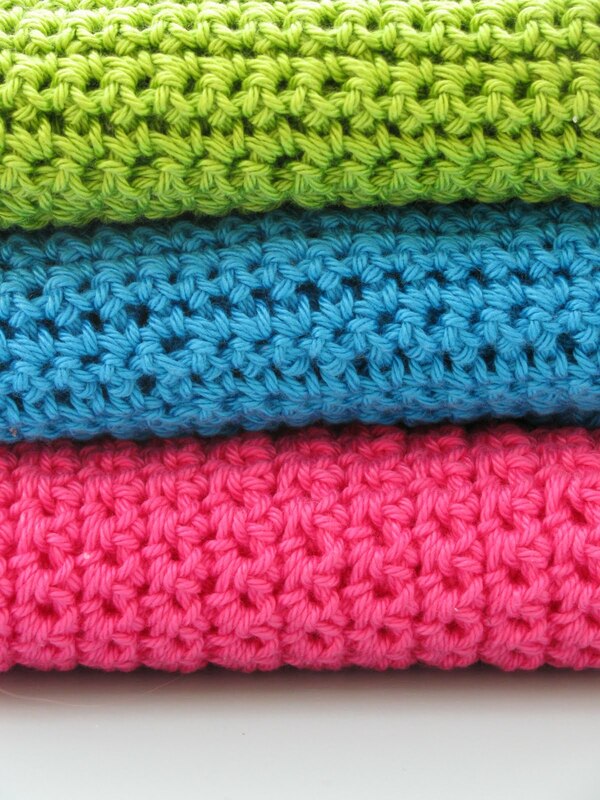 Its available in pink, green and blue.